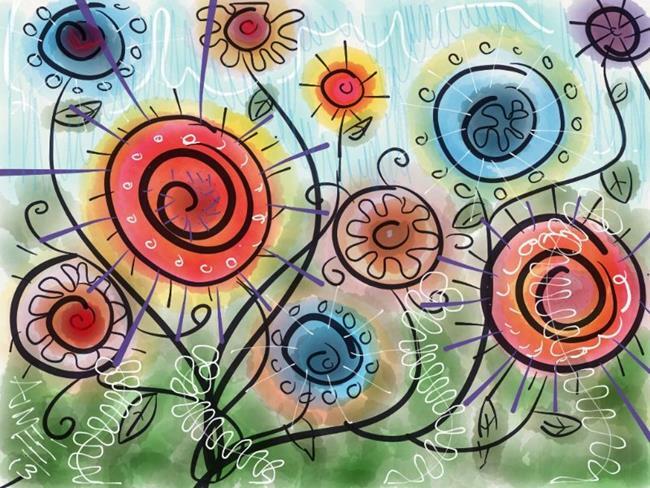 Just a funky bunch of flowers that I created while watching TV one night using my new Sensu stylus. It has a regular tip and a brush tip as well. It was created on my iPad with the Paper 53 app.